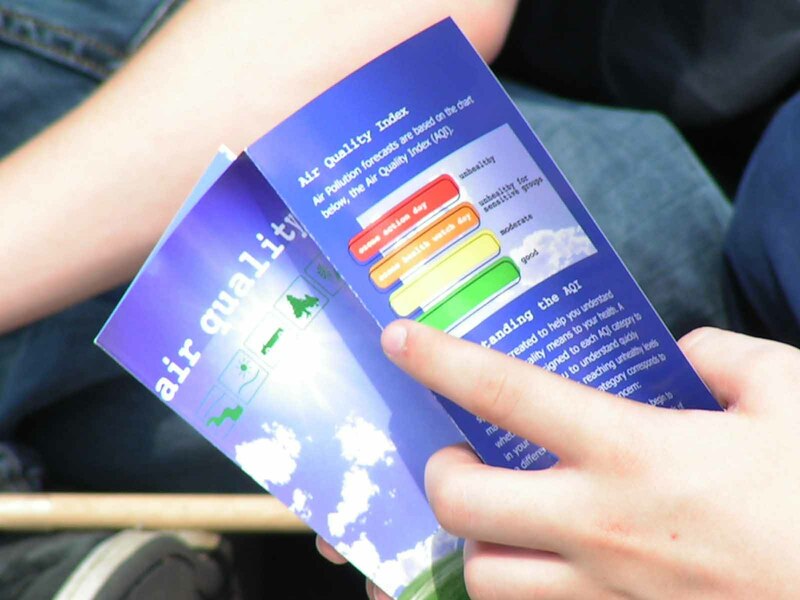 The Air Quality Index is an tool for measuring daily air quality. It determines how clean or polluted the air is, and what associated health effects might be a concern for you. Air Quality Conformity is a process which ensures federal funding and approval goes to transportation activities that are consistent with our air quality goals. This process applies to both the long range Regional Transportation Plan (RTP) and the Transportation Improvement Program (TIP). Known as “non-attainment areas” or “maintenance areas,” respectively, the Federal Highway Administration (FHWA) and the Federal Transit Administration (FTA) jointly determine conformity within these regions which do not meet air quality standards to ensure that federal actions conform to the purpose of the State Implementation Plan (SIP). The US Department of Transportation cannot fund, authorize, or approve federal actions to support projects that do not conform to Clean Air Act requirements governing the current National Ambient Air Quality Standards (NAAQS). While ozone and fine particulate emissions have and continue to drop dramatically, the WILMAPCO region still does not meet the rigorous federal air quality standards. Both New Castle and Cecil Counties are designated in moderate non-attainment for ozone. New Castle County is considered in maintenance for fine particulate matter (PM2.5). WILMAPCO is responsible for ensuring a plan in place to meet the attainment levels in these counties. To help reduce the impact these pollutants have on your health, the Air Quality Partnership of Delaware alerts people when the air reaches unhealthy levels. How Does Ozone Effect Us? While naturally produced ozone in the upper atmosphere protects life by filtering out ultraviolet radiation from the sun, ozone at ground level is a noxious pollutant. Ground level ozone is the major component of smog and can damage lung tissue, aggravate respiratory disease, and make people more susceptible to respiratory infections. One of the most common ways this harmful pollutant is created is through automobile emissions. People most affected by high ozone levels include: children, the elderly, people with respiratory diseases, healthy adults who exercise or work outdoors and individuals who are just overly sensitive to ozone. In unusually high doses, it can cause shortness of breath, wheezing, headaches and asthma attacks. Plants and wildlife are also at risk because high ozone levels can stunt plant growth and damage leaves. This could have a permanent affect on the food chain. How Does Particulate Matter Effect Us? Particulate matter (PM) is a mixture of solid particles and liquid droplets which can be found suspended in the air. Fine particulate matter, under 2.5 microns in diameter (PM2.5), result from fuel combustion by automobiles and other sources, as well as the transformation of gaseous emissions. Irritating the membranes of the respiratory system, high levels of particulate matter can result in increased respiratory problems and disease, decreased lung function, alterations of the body’s defense systems, and early death. People most sensitive to exposure to particulate matter include: the elderly, individuals with cardiopulmonary disease such as asthma, and children. Particulate matter can also cause reduced driver visibility (haze), cause harm to the natural environment by settling into water bodies, and stain monuments and buildings. PM is produced from both direct and indirect sources. 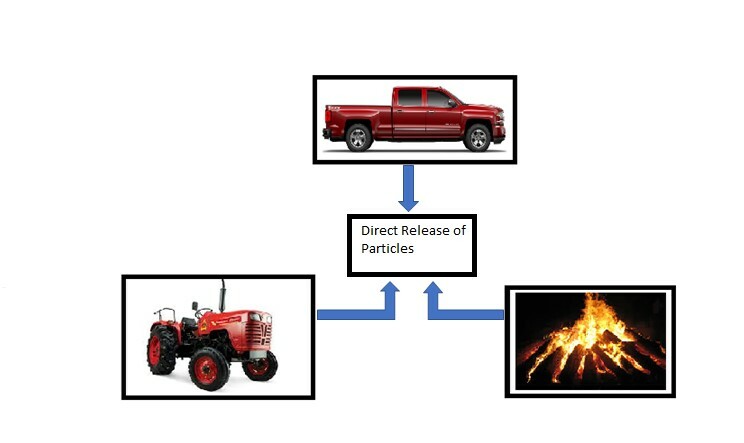 Particles which are directly emitted into the air come from a variety of sources such as: cars, trucks, buses, factories, construction sites, tilled fields, roadways, stone crushing and wood burning. Those which are indirectly emitted are formed when gases from burning fuels (from combustion, power plants, industry, etc.) 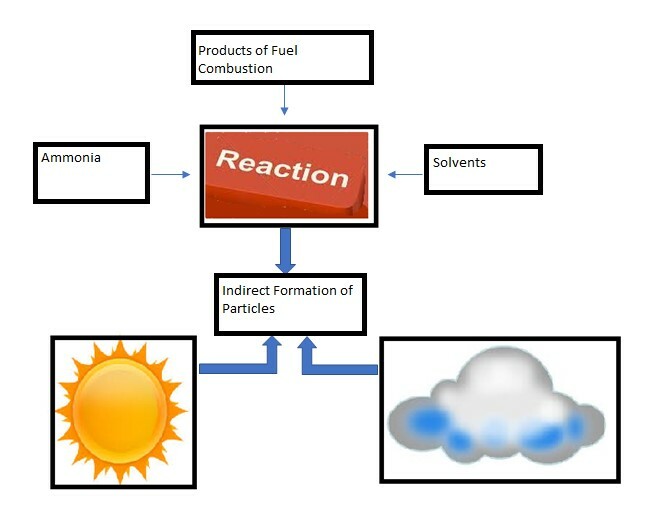 react with sunlight and water vapor. How and When Do We Demonstrate Transportation Conformity? Air Quality Conformity effects all of our upcoming transportation plans. Before approving any transportation plan, WILMAPCO must determine that the plan is constrained fiscally and is within the air quality budget. Mobile source emissions projected in a given transportation plan must fall below the current on-road mobile budget. If we do not meet the standards, federal dollars for expansion projects would be frozen and federal permits denied. Many of the transportation projects that we are waiting to implement would be stopped. What about Climate Change and Peak Oil? The consequences of climate change and the arrival of peak oil are serious. Continued warming of the Earth will lead to more unstable weather, species extinction and famine, while a dwindling supply of oil would result in higher consumer costs, inflation, and lower capital investments. By planning now we can work to mitigate these scenarios. Experts agree that reducing rising greenhouse gas emissions (such as carbon dioxide and methane), by curtailing our thirst for fossil fuels, will best help offset the impacts of both climate change and peak oil. Unfortunately, the federal government does not yet regulate these greenhouse gases as they do other pollutants, like ozone and fine particulate matter. So it is up to regions, states, cities and individuals to begin taking action! Visit our climate change homepage for more information. Together we can solve it! We, the residents of New Castle County, Cecil County and all the surrounding areas need to work together to develop ways to reduce air pollution. This means easy, day-to-day solutions like keeping your tires properly inflated and limiting automobile trips, as well as more comprehensive solutions such as better land use development and the continued implementation of cleaner engines and fuels. For more information that will help you to understand this problem, or for some more suggestions that you can help in your daily lives, visit the EPA’s Clean Air Act website!